Incessant rains since Thursday night poured miseries on the pilgrim town on Friday. PURI: Incessant rains since Thursday night poured miseries on the pilgrim town on Friday. 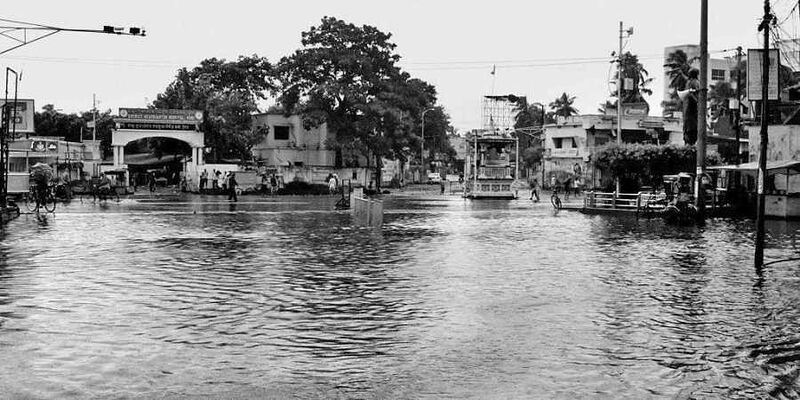 Following the heavy showers, stormwater flooded several low-lying areas and over 36 slums in the town. This apart, rainwater also inundated Reserve Police Lines. Sources said the poor drainage system in Puri added to the miseries of residents. A total of 38 thatched houses were damaged in the district due to rains induced by cyclone Titli. The administration had put in place elaborate arrangements to minimise the impact of Titli as Puri district was placed under red category for the cyclone. While three ODRAF and NDRF teams were stationed at Astarang, Chilika and Puri, over 16,000 villagers residing close to the sea or in cyclone-prone and low-lying areas were shifted to 182 cyclone shelters where food and water have been stocked for three days. As many as 62 relief camps were also opened at various places where cooked food was served to the inmates. There are 88 tsunami-prone villages in the district located very close to the sea or near Chilka lake. A massive public awareness campaign was also organised by the police and NGO activists in cyclone-prone areas. Block Development Officers and Tehsildars of all 11 blocks have been put on alert and helplines made operational. A control room at Puri headquarters is monitoring the situation round the clock. District Magistrate Jyotiprakash Das is supervising the relief operation, sources said. Most of the tourists residing near the sea preferred to remain in hotel buildings. Many hotel bookings were also cancelled by tourists due to the cyclone. Train departure from Puri railway station was rescheduled. Meanwhile, people have started returning to their homes from cyclone shelters and relief camps as the situation was gradually becoming normal, sources said. The crop damage report is yet to be assessed, said the district emergency officer.